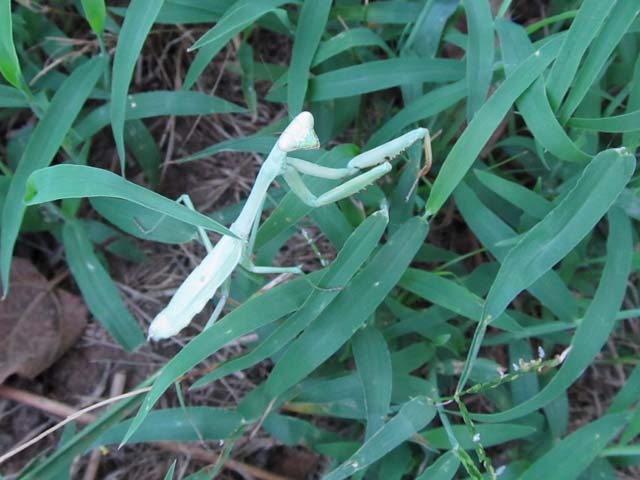 I just found out from my son that I goofed on the identification of this insect. 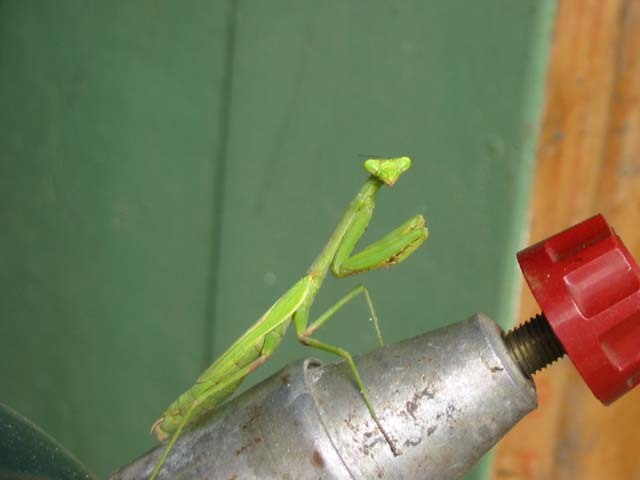 It’s a mantis fly, not a praying mantis. I didn’t even know there was such an insect. 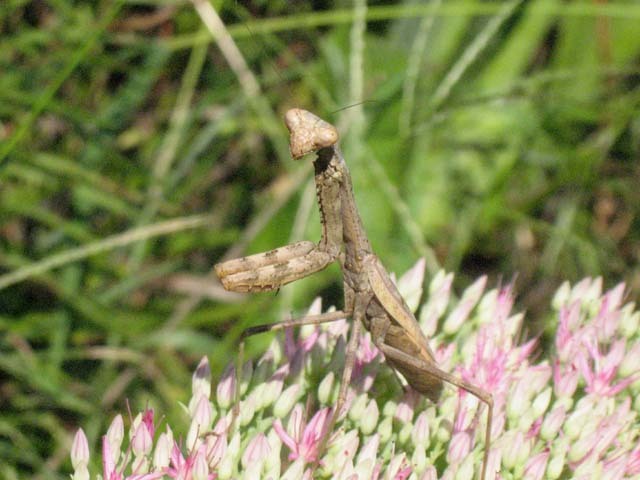 The abdomen shape differs between the two. 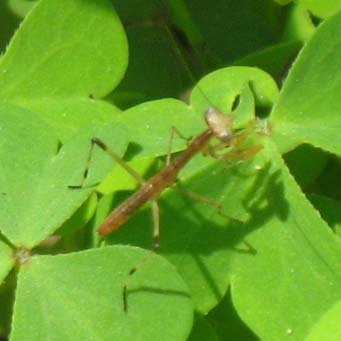 The veining of the wings of a mantis fly’s wings is square and is long in a praying mantis’). 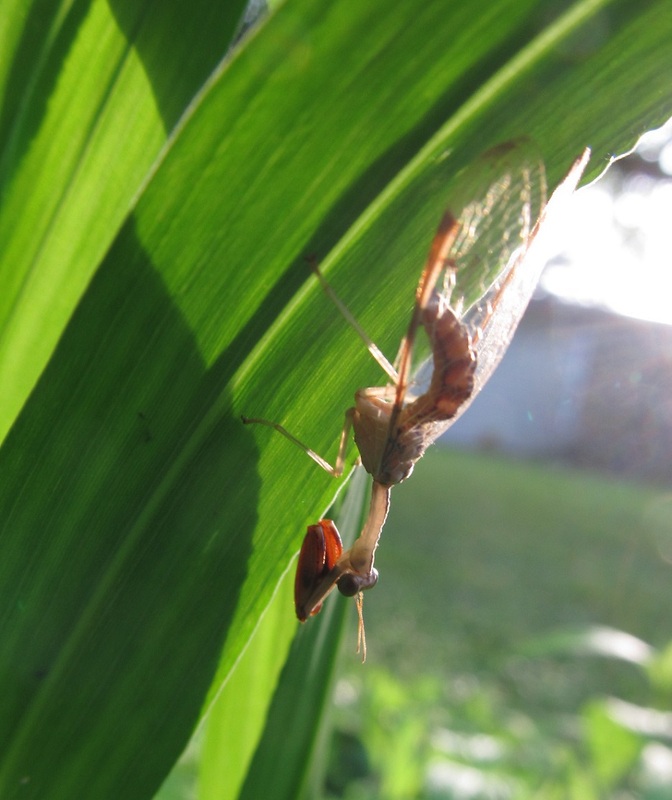 … and this one turned out to be a mantis fly. This one doesn’t fit in either color category. It looks like it molted recently and is waiting for its exoskeleton to dry. 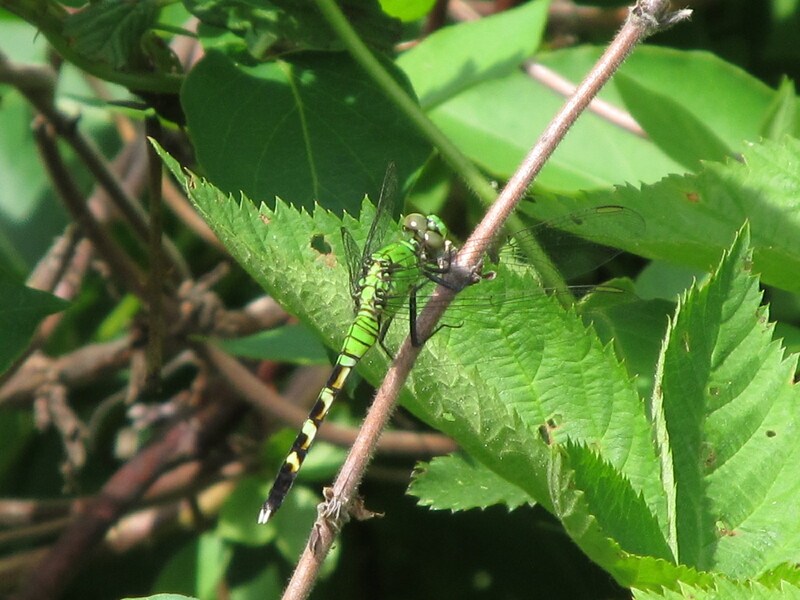 A dragonfly finally landed where I could take pictures of it. Their numbers have been low this spring. Most of the few that I have seen didn’t land or pose for pictures. 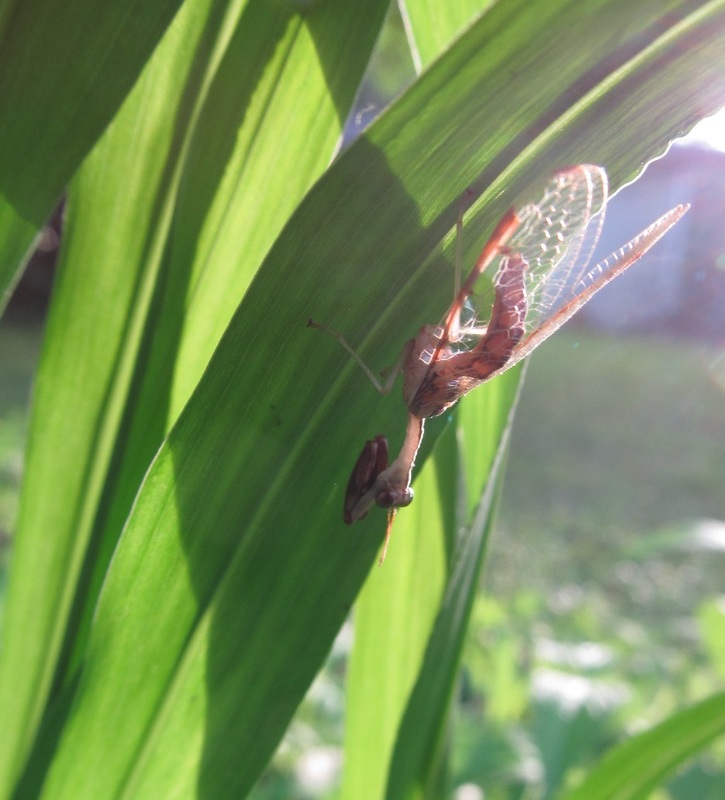 They are one of the most common dragonflies here in southern Illinois. 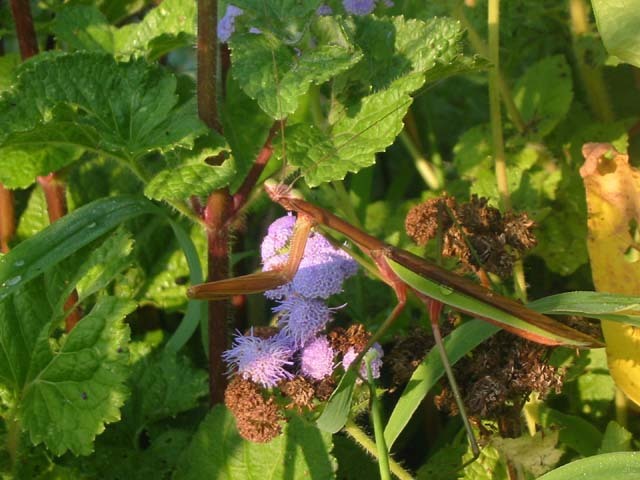 The females are green and the males blue. 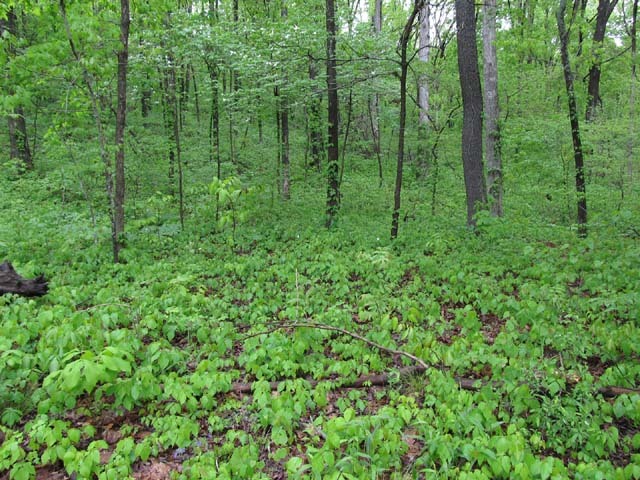 The theme of this cloudy day was green. Very little bloomed. We’re between the early bloomers and the next wave of seasonal color. The orange, though small, made a bold statement. 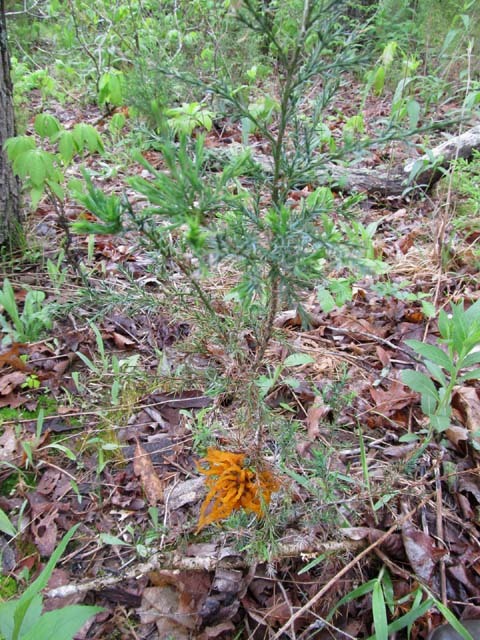 The cedar apple rust grew on a young cedar tree. 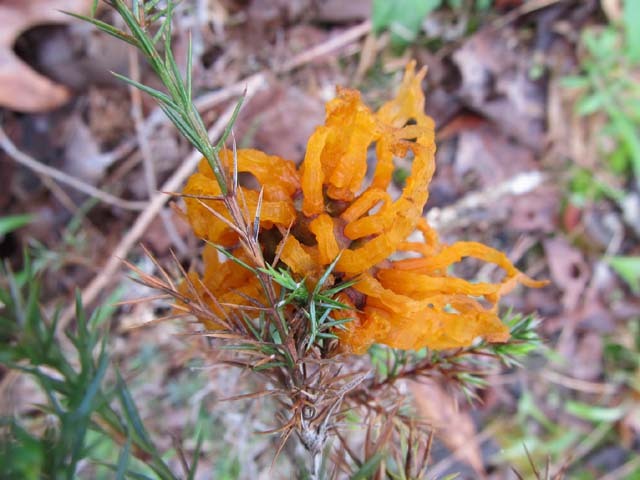 I’ve known it’s called cedar apple rust; I just never knew why (or even thought about it) until researching for this blog. 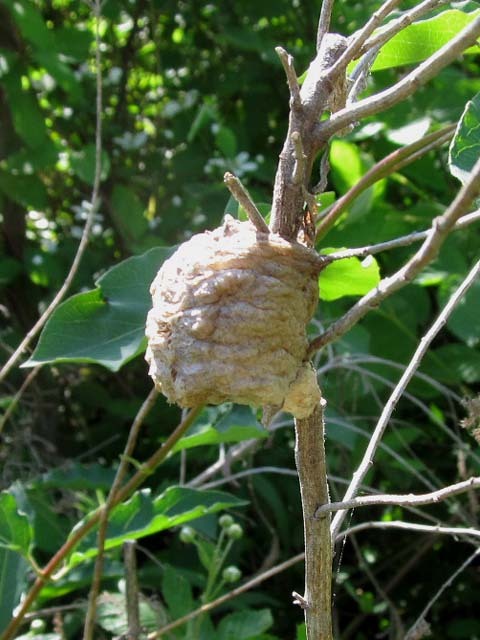 Cedar apple rust is a fungal disease on apple trees. 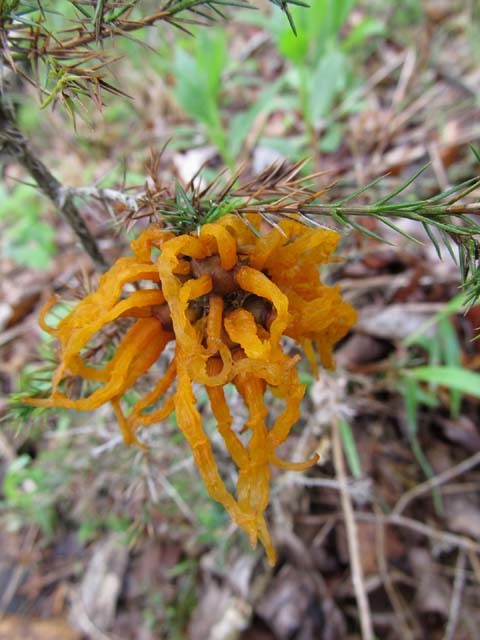 Cedar apple rust requires apple trees too to complete its life cycle.The brown galls overwinter on the cedar trees. 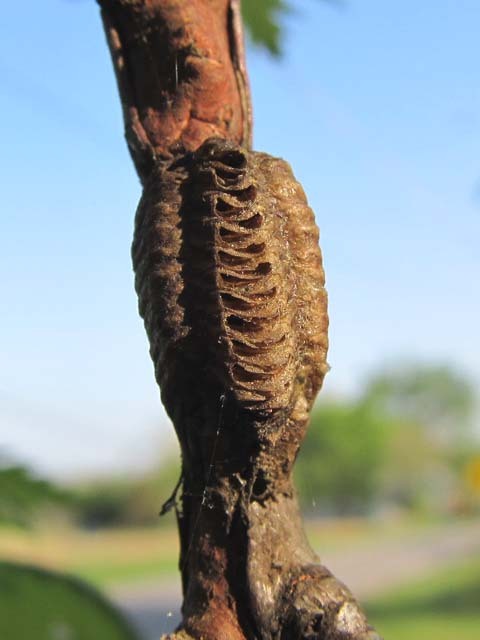 During moist weather in the spring, the galls produce jelly-like horns. The rest of the information on the galls’ life cycle scrambles my artistic brain. I enjoyed the aesthetic qualities of this find.